81. 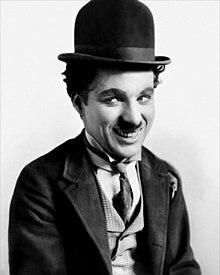 The Chaplin Revue (Sep 1) (First National shorts A Dog’s Life, Shoulder Arms and The Pilgrim edited together by Chaplin to form a single feature-length film). David Robinson (2nd edition 2001) Chaplin: His Life and Art . McGraw-Hill. Jeffrey Vance (2003) Chaplin: Genius of the Cinema. Abrams: New York. This page was last edited on १५ जुन २०१७, at ०६:२१.